On the surface, it doesn’t sound that difficult to create online invoices that work well for your business. 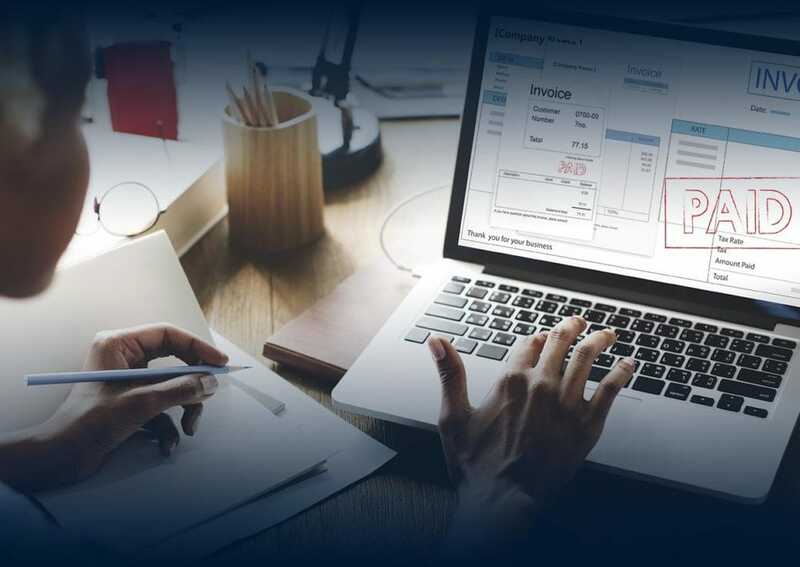 But you’d be surprised how often the seemingly simple task of invoicing becomes the biggest obstacle to actually collecting payment. Small business owners don’t have a lot of time on their hands. Many entrepreneurs handle every aspect of their business by themselves – which means you’re not only the figurehead but also responsible for AP and AR. Of course, billing and payment are necessary functions of any business. But you don’t want to spend a lot of time crafting your invoices because that’s time away from doing work you can bill for in the first place. In this article, we’ll give you some tips for creating invoice templates that include all of the necessary information. We’ll also look at some of the software options available to business owners who want to build online invoices. Your invoice is an important tool. It includes all of the intricacies of your charges to the customer. A professional-looking online invoice does more than just prompt timely payment. It also serves as a communication device and adds value to your customer service approach. Some invoices are difficult to read and that’s confusing for a customer. What you want to create is a clear invoice that answers all of their questions at a glance. They should be able to easily find your contact information and an itemized list of what they’re receiving in exchange for payment. A concise invoice helps strengthen customer trust and loyalty. The more transparent you are with your billing and communication, the better your relationship with the customer will be. Invoices also provide you (and your customer) with an organized method for financial record keeping. Your invoice serves as a communication tool to help you collect payment, but it’s also another way to build your brand. Displaying your logo prominently on your invoice template is a free way to advertise to customers who have already purchased from you. All invoices should include your contact information. This makes it easier for customers to reach out if they have questions about that particular invoice or if they’d like to place another order. Plus, it’s a best practice to include your contact information in an easy-to-find location on every form of communication, from invoices to emails to your website. Your invoice should have a “Bill To” section where you can enter the customer’s contact information. This should include all of the information you have – name, company name, address, email address, and phone number. If your business does a lot of invoicing, including plenty of detail makes it easier to stay organized and keep track of who each invoice is for. An invoice number gives you a simple point of reference to help find the invoice if there are any questions. If saving the invoices within a software application, including the invoice number in the file name makes it easy to locate a specific document within a list. It’s important that your invoice is transparent about what you’re charging the customer for. Make sure you include an itemized list of products and services. If you’re selling products, each line on the invoice should include the item and price. If billing for services, you might include the hourly fee or a project description along with the service price. Any sales tax should also be easily decipherable for the customer, along with the total invoice amount. Your invoice should clearly state the ways in which customers can make payments. This might include a link to your website to make payments online, or options for making payments via cash, credit card, and check. If you have a dedicated mailing address for payments, it should be included in this section. For businesses who take payment via online services such as PayPal, those instructions can be included here as well. Set a window during which payment must be made and include these details clearly on the invoice. An invoice is a good place to include other offers to upsell customers. You might include a coupon for additional services, announce a new promotion, or invite customers to provide feedback or testimonials. The main purpose of your invoices is to collect payment promptly, but they’re also a great tool for maintaining open lines of communication with your customers. After all, you’re already taking the time to craft and send your invoices. Making sure they’re worded well and incorporate customer service best practices is a virtually free way to promote your business proactively. There are plenty of free templates online to help you create your invoice. If you use Microsoft Office, the Word and Publisher applications both include templates that you can use to create a unique invoice. It’s relatively intuitive to use the features in these programs, but if you get stuck, you can search the web to find specific directions. Saving and sending your new invoice as a PDF is a great option because it looks professional and can’t be changed or edited by the customer. You can save your existing work as a PDF in whichever word processing program you’re using. If you’re comfortable with Adobe Acrobat, you can also use it to build PDF forms and add calculation fields for convenient invoicing. If you’re using accounting software, it will likely have built-in invoice templates that are easy to customize, print, and email. Check the help documentation offered by the software vendor or search online for tutorials. For instance, here’s a step-by-step tutorial for creating an invoice in QuickBooks. 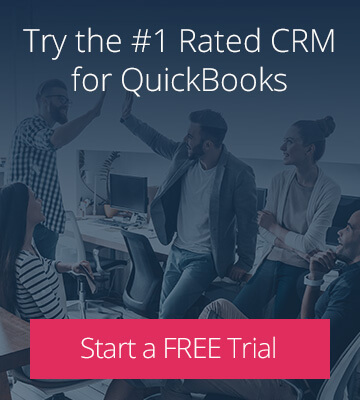 Another great option is to use customer relationship management software that integrates with your accounting software. This is especially helpful when more than one person on your team is responsible for invoicing customers. 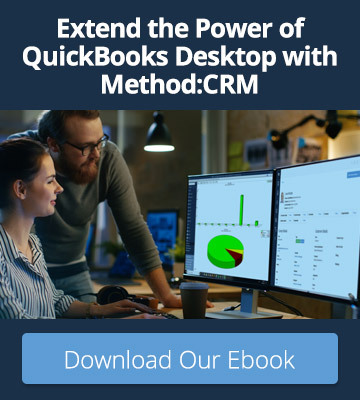 Team members who are less comfortable with (or do not have access to) your accounting software can easily create invoices in the CRM, and the data will update in QuickBooks in real time. Invoicing directly from your CRM also helps to keep all of your customer notes and communications organized. Ultimately, the important thing to remember is that invoices are an important communication tool for your business. With these tips in mind, you’ll be ready to build online invoices that strengthen your brand, provide better customer service, and bring in prompt payment for your business.